On the surface, Talko is a wonderful app. 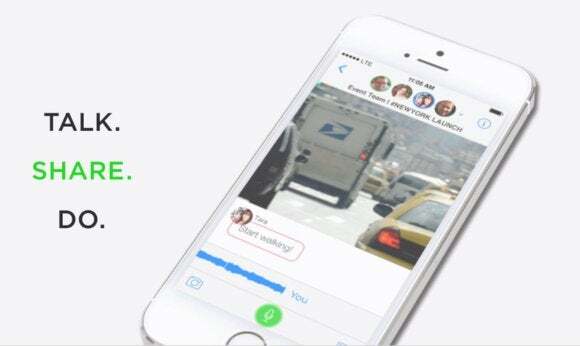 Think of it as Slack or HipChat or an AOL chat room, with group texting, the ability to record voice, share location, and even photos. Talko’s team wrapped it all up within Apple’s pristine iOS 8 design motif, sprinkled a bit of fairy dust on it, and unveiled it with broad smiles to a gullible tech press. Because that’s what you do when you have a Really Big Deal—especially a company backed by such names as Marc Andreessen or Greylock Capital. You put legendary software giant Ray Ozzie out in front of The New York Times, USA Today, The Verge, the Associated Press, and even Steven Levy’s new tech site at Medium—the list goes on and on. And although everyone who ever used it despised Ozzie’s first product, Lotus Notes, Ozzie still commands respect. And he’s a nice guy, to boot. But the new platform copies iOS 8’s Messages app. I mean, look at it. Talko allows for group messaging, shared photos, recording short snippets of audio commentary. So does the new Messages app. 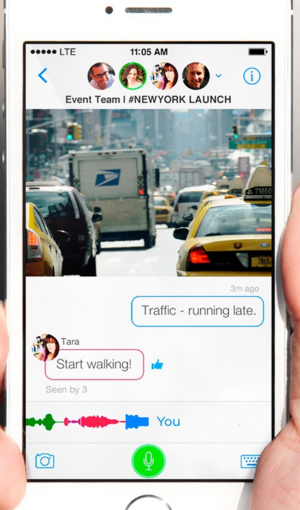 With Talko, you can share your location—but, yep, Messages does that too. 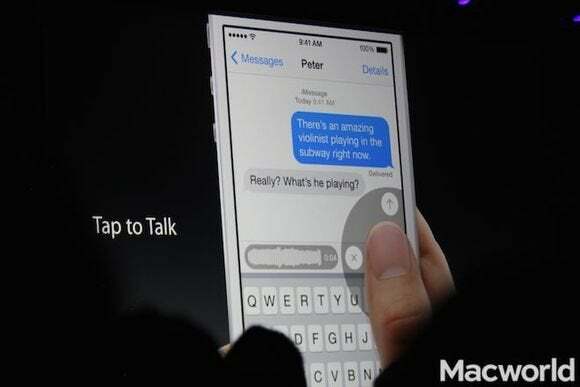 One of the features in iOS 8, Tap to Talk. If you want thousands of words describing how Talko was developed, Levy’s piece at Medium explains how wonderful Talko will be, with barely a hint of critical thinking. Is there a need to archive years of conversations between friends and colleagues? Maybe, if you’d like the lawyer that’s filing a patent-infringement suit against your company to dig through all of your team’s correspondence. What about listening to multiple voice recordings to find the one piece of information you have to have? Or is it easier to ask a colleague to catch you up on the information you need to know? It may be that Talko finds a niche alongside HipChat, Slack, and other collaboration tools, and that users simply don’t want to jump on a group Skype call when necessary. But put what Talko promises—to “reinvent the call,” according to Ozzie—against what’s already out there, including a native app on the only platform Talko supports, iOS. Who’s not going to be skeptical?